Printed birth announcement; a folded card with an elaborate cover. Baltasar and Isabel are the maternal grandparents of Ann Monaghan and Joe Murphy. Carmen is their maternal aunt, Emilio their maternal great uncle, and Genoveva their maternal great grandmother. 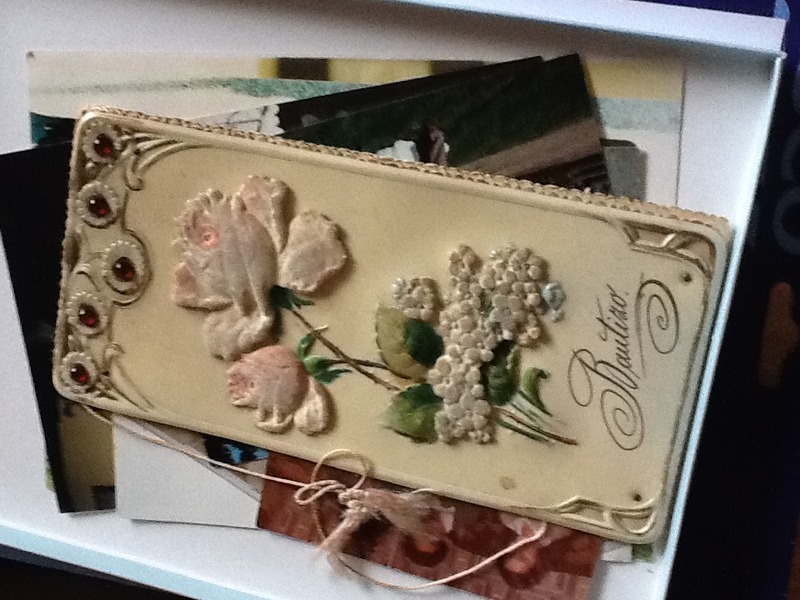 The cover has padded applique flowers, small red beads, and a pale pink tassel. The text reads Bautizo (Baptism). 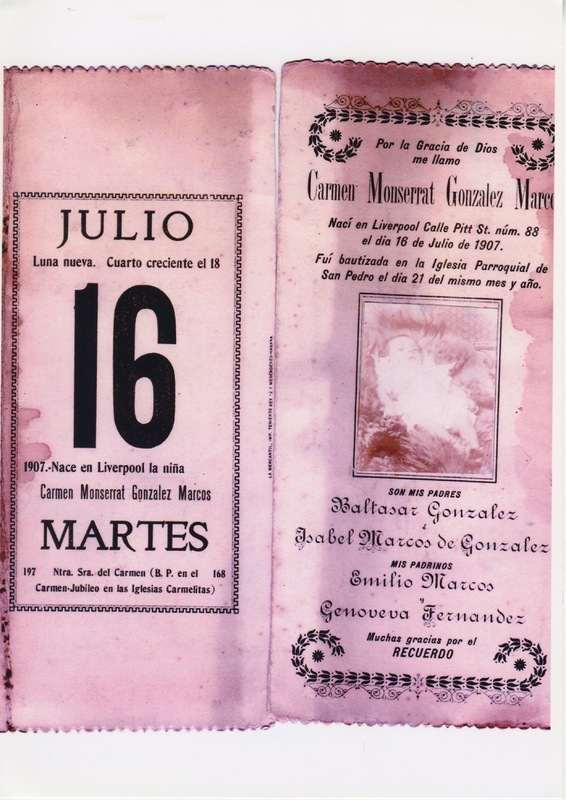 The inside has a calendar entry on the left-hand leaf and on the right-hand leaf, the birth/christening announcement, with a photograph of baby Carmen. By the Grace of God my name is CARMEN MONSERRAT GONZALEZ MARCOS. I was born in 88 Pitt St, Liverpool, on 16 July 1907. I was baptised at St Peter's parish church on the 21st of the same month and year. Many thanks for the memory. Carmen's mother Isabel was born in Llanes (Asturias) in 1873, and her father Baltasar was born in Guitiriz (Galicia) in the same year. The small line of text running along the spine of the left-hand page tells us that the booklet was printed by Imp. Teniente in Havana, Cuba. It may have been ordered by Carmen's maternal uncle and godfather, Emilio Marcos, a rancher and department store owner, who lived in Cuba until 1958.